Can GERD Cause Heart Palpitations? When it feels like your heart has skipped a beat or is fluttering, you are likely to have heart palpitations. Your heart will beat faster or harder than normal in this condition. GERD or gastroesophageal reflux disease, also called acid reflux, has been known to cause tightening feelings in the chest. This raises the question – can GERD also cause heart palpitations? It isn’t common that any palpitations you are feeling are a direct result of GERD. The cause may be what you are consuming. For instance, caffeine can cause both symptoms of GERD and heart palpitations. Because of this, many people will think that their heart palpitations are symptoms of GERD, but it's not true. Some chest pains are due to acid reflux. This can cause people to be anxious if they don’t realize it’s heartburn. This anxiety can then raise their heartbeat, causing them to feel like it’s palpitating. Sometimes, acid reflux can make it feel like the heart is palpitating when in reality there are spasms in the esophagus muscles. There are also links between some GERD medications and heart palpitations. If you are experiencing heartbeat irregularity and have just started a new medication, speak with your doctor to see if this is the culprit. If it is, you can seek alternative treatments. Though they are likely not a direct result of your GERD, heart palpitations are a sign you need to call your physician for a checkup. If you are wondering "Can GERD cause heart palpitations?" it’s a clear sign you should take some measures. 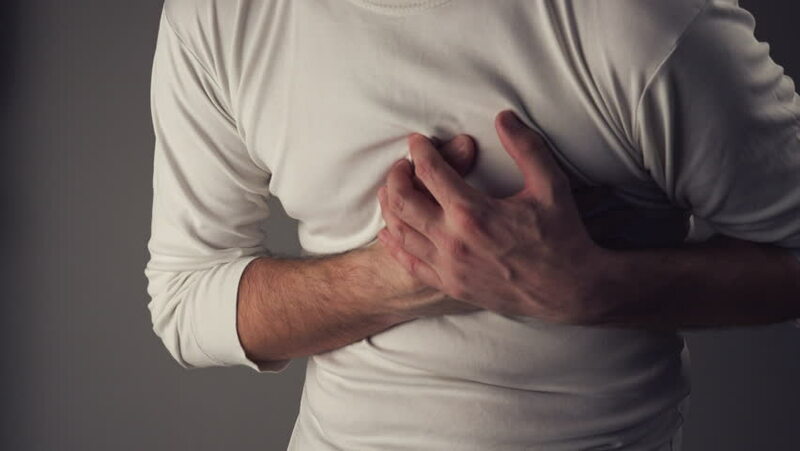 Though GERD and heart palpitations are not in a causal connection, methods that help to get your GERD under control can also do a favor to your heart palpitations. Steer clear of drinks and foods that trigger your heartburn. This can be different for different people, but common triggers are tomato sauce, fatty foods, fried foods, chocolate, alcohol, onion, mint, garlic, and caffeine. Try to avoid anything you know that sets you off. Try to avoid overeating and enjoy smaller meals. Avoid lying down directly after eating. Wait three hours or more to lie down. You can use cement blocks to raise the head of your bed several inches. If this won’t work, try putting a wedge between your mattresses. You can find it at medical supply stores or drugstores. It should be noted that simply elevating your head using pillows is ineffective. Stop smoking. Along with a range of health issues, it also decreases your esophageal ability to properly function. You can take some medications to get relief. It’s good to check with your doctor before trying any of these. Antacids can be effective, especially when taken about an hour after a meal and again at bedtime. This will help to neutralize present acid. There are some available that work with a foaming agent. The foam will help keep acid from climbing up your esophagus. H2 blockers or histamine-2 receptor blockers can help to prevent acid production. These are only effective if taken an hour before a meal because they don’t affect present acid. If over-the-counter medicines and self-care aren’t working for you, you need to speak with your doctor about a possible prescription for stronger antacids. These prescriptions are only necessary for a short time, but for some people longer treatment will be needed. Cut back on or give up caffeine. Give up or cut back on alcohol. Speak with your doctor to make sure none of your medications or supplements are causing the trouble. There are some over-the-counter products that can cause palpitations as a side effect, particularly if they contain phenylephrine or pseudoephedrine. Can GERD cause heart palpitations? No. But anxiety and stress can. Relaxation techniques such as meditation, tai chi and yoga are all great ways to keep the palpitations at bay. Another way is to use breathing exercises when you tense and then relax different groups of muscles. If your home methods are not getting you results and you are still experiencing heart flutters, you should consider trying some medical options. Beta blockers can be used to control the flow of your beat signals and therefore slow down the heart. In some cases, an ablation will be recommended. If you are experiencing shortness of breath, fainting, and chest pain, you need to call your doctor or 911. These can be the signs of serious heart trouble.